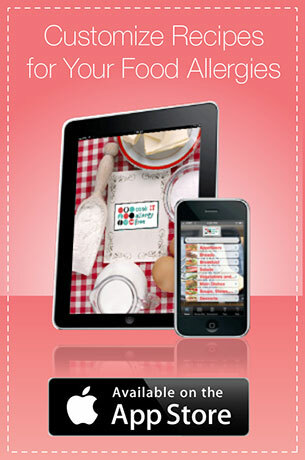 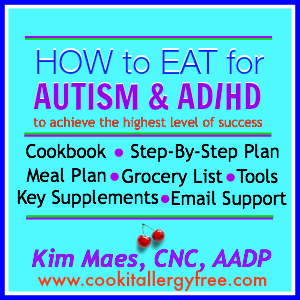 Trust me when I say you will want to check out these pages below… they are full of gadgets, gear, books, and bloggers that will make your journey with food allergies and special diets FUN and will keep you well-stocked and ready to roll in your Allergy-Friendly Kitchens! 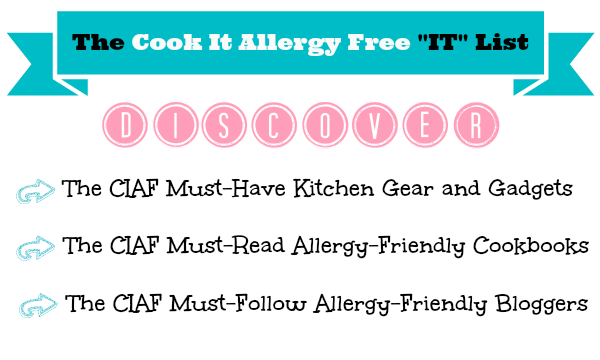 The CIAF Must-Read Allergy-Friendly Cookbooks and Resources – The books that will make it all happen in your Allergy-Free kitchen! 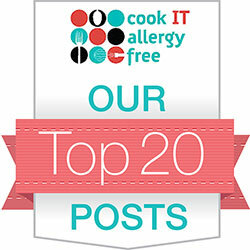 The CIAF Must-Follow Favorite Allergy-Friendly Bloggers – The chefs and authors that you love having along with you on your food allergy experiences!